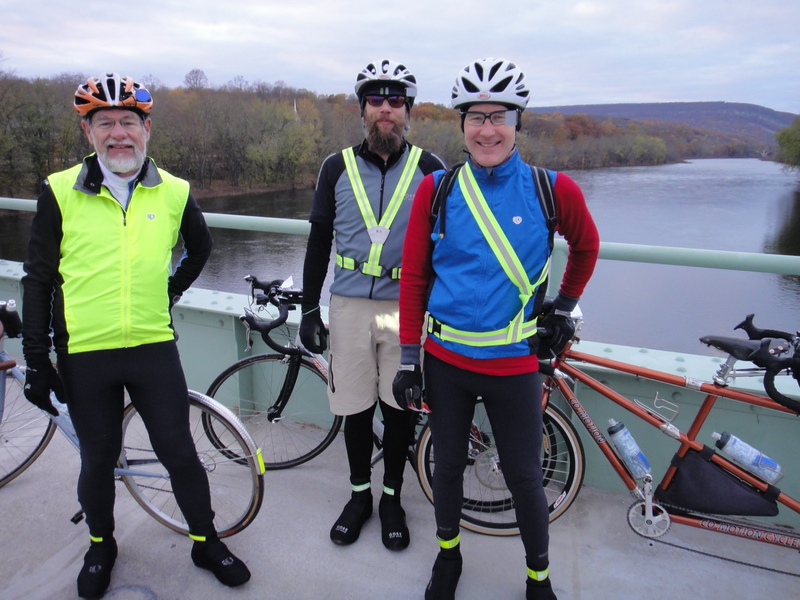 Tandem partner Felkerino, friend Lane G., and I packed up our bikes and our randonneur passports this past Friday and headed to Pennsylvania for their November 200K brevet. The ride up was a solid five hours, but the trip was worth it. Tom Rosenbauer, the RBA, put together an awesome 200K course, full of beautiful river views, scenic climbing, and fantastic controles. 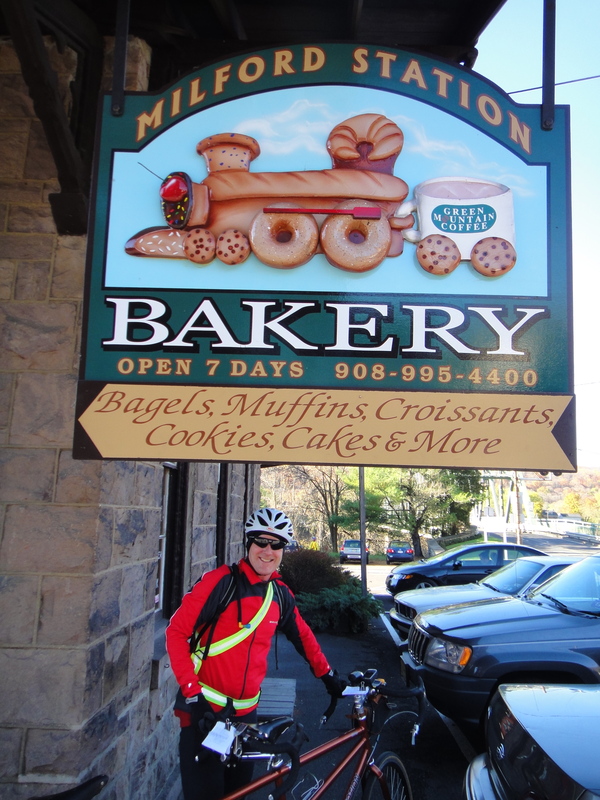 Milford Station Bakery. Best brevet controle ever? Tom even put together a “Crista-style” cue sheet so we wouldn’t be too confused when making our way over the course. Tom thinks of everything! 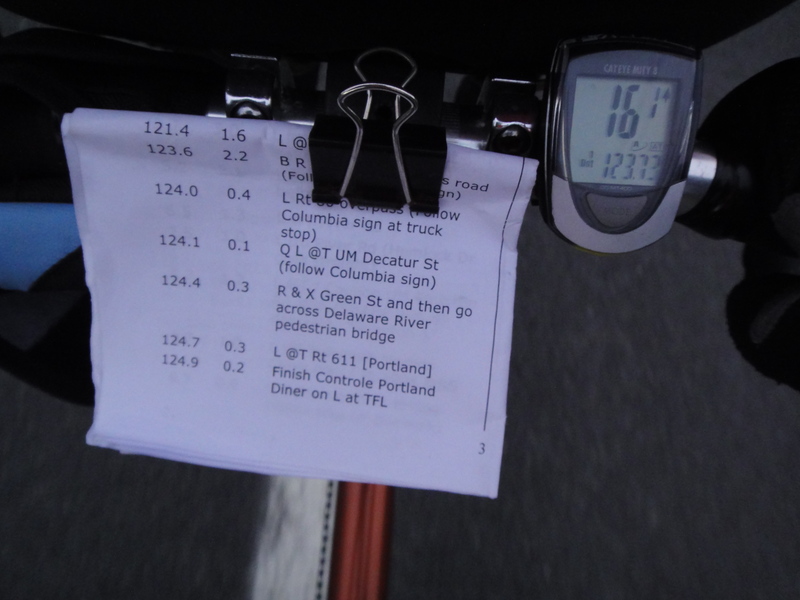 Crista-style cue sheet by Tom R.
Riding with the Pennsylvania Randonneurs gave Felkerino and me the opportunity to meet new riders, traverse many new roads, and pedal with cyclists we don’t get to see that often. I also reacquainted myself with the correct spelling of Deleware Delaware, since we crossed the Deleware Delaware River many times throughout the day. So not only was this trip good for me physically, it was also educational. Thanks to Tom for the awesome course, and thanks to all our fellow randonneurs for making this such a great day to be out on the bike! My full flickr set of the adventure may be found here. 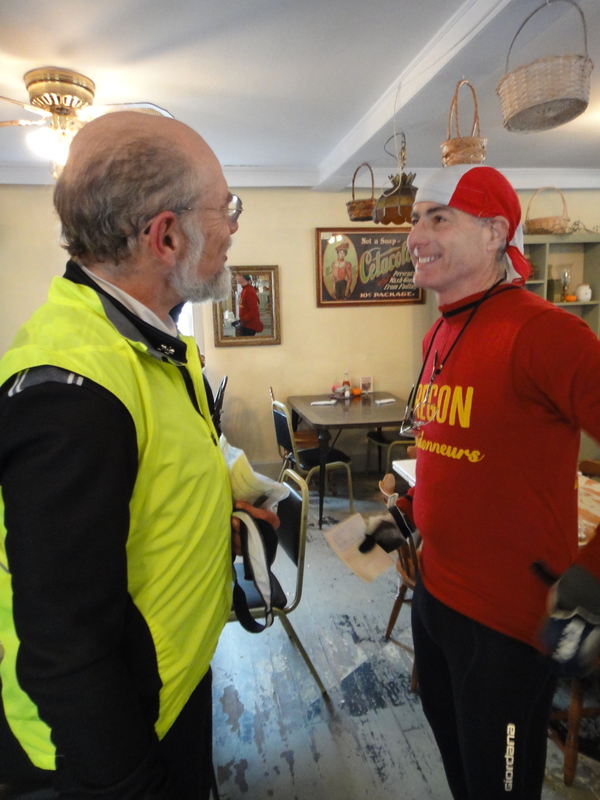 Felkerino’s pics are here, and he also posted his account of our ride on The Daily Randonneur, my favorite randonneuring news source. Hope you were able to get outside a little, too. 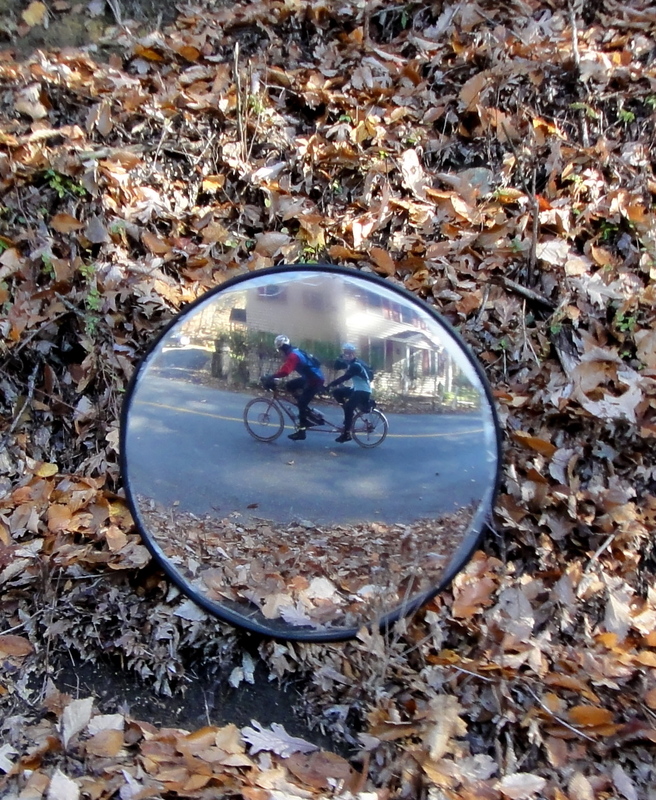 It was a really nice fall weekend. 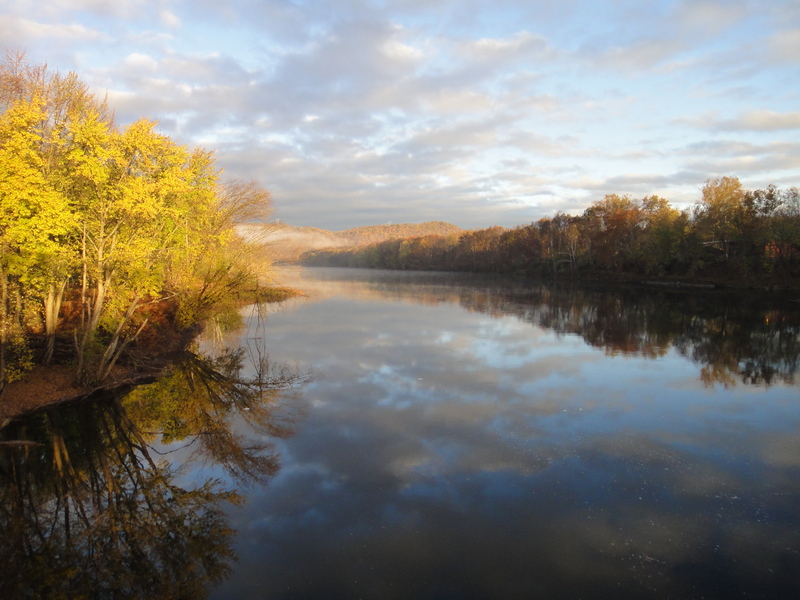 That’s a *really* great picture you have of the Delaware River (at the top of the page) … you should enter it into a photo contest – seriously!